There is no question that today, small and medium size businesses need to offer consumers financing or risk losing market share to the competition. But the lender marketplace can be confusing and sometimes, unforgiving. First, lenders will not accept all businesses. What you sell matters. So does your annual revenue as well as your time in business. How you make a sale is critical. Some lenders will even pull your personal credit in making a decision. Knowing where to turn can be mind boggling. Second, lenders will not accept all consumers, from the standpoint of credit. Most are very specific on the type of borrower they are interested in. And if you don’t match the consumer with the product they deserve, there’s a good chance they will walk away from your sale. 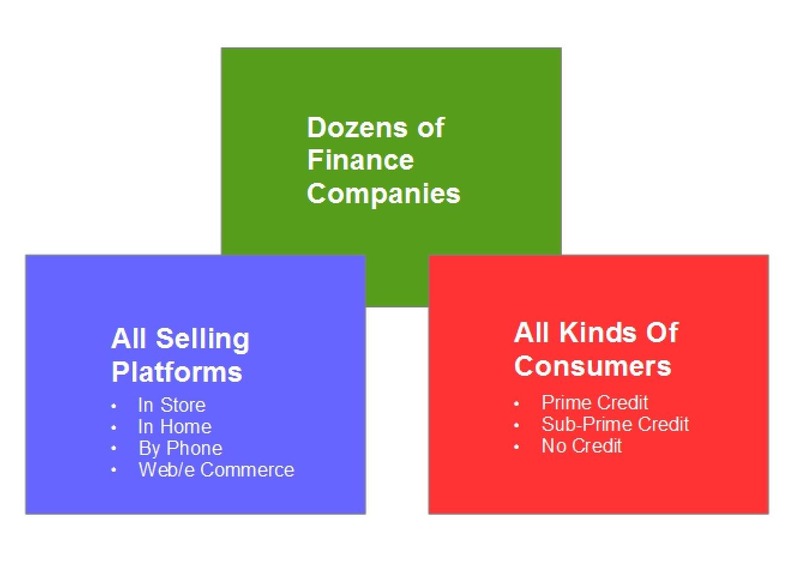 FLEXXBUY democratizes customer financing by making it available to almost every business. It doesn’t matter if you’re established or opened yesterday. Whether you have a store or office or are home based. We will work with almost every business. 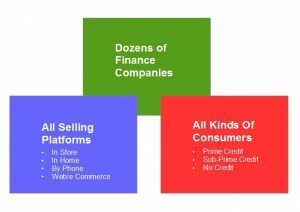 And even if you pass the industry litmus test, do you want to go and apply one-by-one to the lenders or simply work with FLEXXBUY and get up to ten lenders, in one platform, INSTANTLY! FLEXXBUY cuts through the mystery. As a nationwide facilitator of consumer financing options, FLEXXBUY can provide your business with the perfect combination of finance options that will help take it to the next level. And as lenders come and go, Flexxbuy will always be at the cutting edge with new programs to offer. As a matter of fact, due to FLEXXBUY’s reputation in the industry and massive database, new lenders seek us out first when they are attempting to have market penetration. No one has a larger pool of lenders. That’s most important to you. Consumer financing is serious. Make the right decision and you can see your business grow 20, 30 or even 40 percent. Make the wrong decision and you’re pushing your prospective customers to your competition. Contact us today by completing the form on the right.